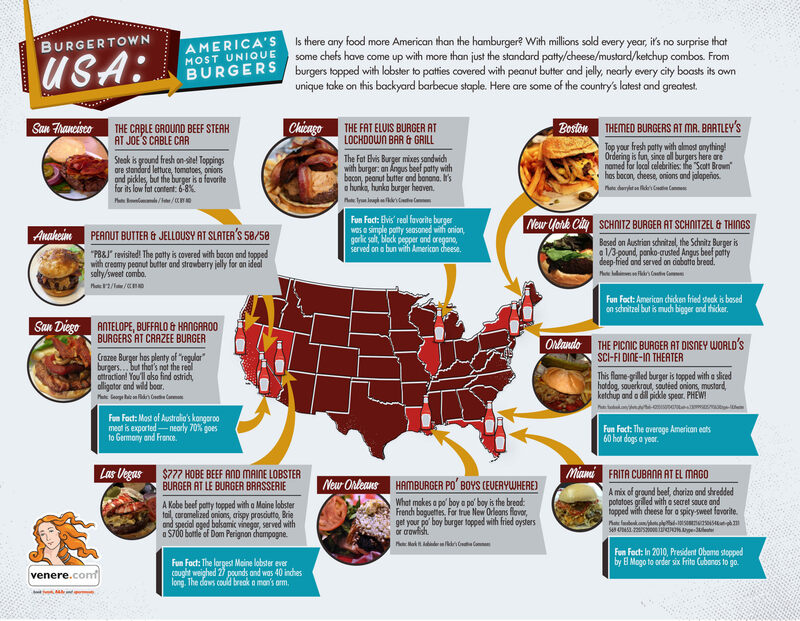 Some of America’s biggest cities are also home to some of America’s most distinctive burgers. These burgers won’t be found at any fast food restaurants or tourist traps- these burgers truly embody the spirit of their respective cities. Perhaps these burgers will compel you to check out the cities they are from- and try them for yourself. Venere Travel looks at America’s most unique burgers.